100% organic quality directly from young coconuts. Light and refreshing. Clear and smooth. Mild and mellow. Slightly sweet, with a hint of coconut. and vitamins and few calories. 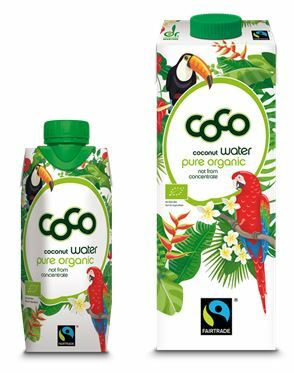 Coco – tastes good and does you good! From spring 2019, Dr. Antonio Martins coconut water pure organic hits the organic shelves in a new summery tropical design. The coconut water comes from sun-ripened green coconuts – from selected certified organic plantations in Sri Lanka. Dr. Antonio Martins wants to guarantee a good everyday life for the farmers, workers and their families in terms of their education, health care and housing situation. That is why the tropical thirst quencher now carries the FAIRTRADE seal and is therefore the first European coconut water with this official certification. In this way, Coco ensures a better, independent future for all workers in the country of harvest – and in a chic new summer outfit. Start the sunny season with Coco – wonderfully refreshing, colourful and fair to farmers! Why does pure coconut juice often turn pink? And can you still drink it without worry? Within a few days of harvesting, the juice of young coconuts changes colour to a delicate pink. That’s because naturally contained enzymes become active within it. In technical terms the process is oxidisation and the enzyme is phenolase. The enzyme content is particularly high in young coconuts – therefore the pink colouration is present exclusively in the precious juice of young coconuts. This chic colour is not a defect but in fact actually a quality feature. It’s a clear indication that the juice has been treated and processed as gently as possible. 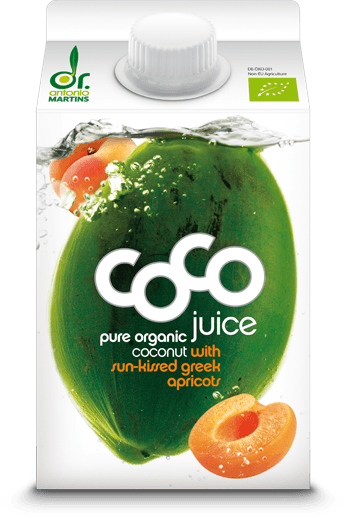 And while we’re on the subject of young coconuts: Since February 2018, Dr. Antonio Martins coconut juice is available in new, practical PET bottles – in sparkling quality, thanks to COCO – with a passion fruit flavour. And guess what the special feature of our first limited edition is? It’s pink. So: Enjoy a true treasure of nature – especially when it’s pink. … shows you everything you have always wanted to know about our coconut water. (> Download coconut juice studies). It came to the conclusion that coconut juice is the ideal natural thirst-quencher. “What could be better than a natural beverage product with the delicate aroma, taste, drinking characteristics and nutritional value of pure, fresh, tender coconut water, plus all the functional characteristics …?” And they are right (>original document). Coconuts ripen on coconut palms. Always in the tropics and always close to the equator. Your holiday snaps of palm-lined beaches are wonderful. But what you can’t see is that the micro-climate there is anything but life-sustaining. Sandy ground, little water, lots of sun and high temperatures. When a coconut is ripe and falls from the palms, it often rolls into the sea. Sometimes months go by before it reaches land again. And when it does it is greeted by the same heat and drought. As they have evolved over the millennia, coconut palms have found a way to give their “children” everything they need to take their first steps in life all by themselves. Each coconut contains all of the energy and water it needs to be able to start growing, even after month in agressive salty water. The big difference from the fruits of other plants is the water. Coconuts contain liquid water. And this coconut juice is uniquely valuable. Naturally pure, with a mineral balance that is exactly the same as your body. Fat-free, low in calories and rich in vitamins and minerals. This “fluid of life” gives the coconut seedling everything it needs to grow. And coconut juice gives you everything a drink should have if a healthy diet is important to you. But remember to consider quality. 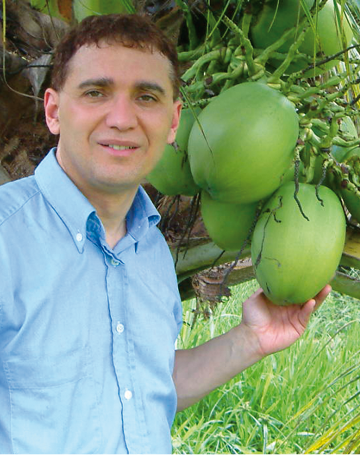 Dr Antonio Martins consists of the juice of young organic coconuts. This makes the coconut juice really valuable and tasty. Dr Antonio Martins’ answer :coconut juice. The only problem was, you could not buy coconut juice in Europe because coconut palms cannot grow here. In 2002 it was finally accomplished. That is how long original Dr Antonio Martins’ coco has existed. 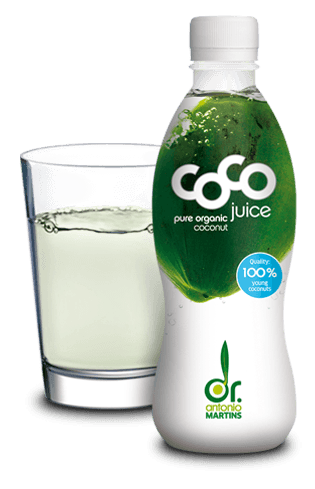 And how long many thousands of satisfied people all over the world have been saying, “For me, coco is the best coconut juice ever”. Thank you for always believing in your idea, Dr Antonio Martins. Now we can drink coconut juice that tastes like it is fresh from the nut. So easy to buy from the shop around the corner. For a long time, we have been considering which fruits we could mix with coco organic coconut juice next. Not only should it taste good, it should also have a purpose. Vitamin A is a good idea, because Mother Nature somehow forgot about it for coconut juice. So, what contains a lot of natural vitamin A? 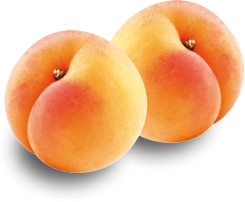 Exactly – apricots. And because we wanted the best for coco, we went to the Mediterranean to buy them. What can you say? coco with apricots tastes fantastic. The organic apricots add a refreshing element that works perfectly with the delicate coconut taste. You have to try coco juice with apricots soon. It is already everyone’s favourite.